Provide comfort for the family of Frances Tomlinson with a meaningful gesture of sympathy. Frances Shirley Tomlinson, age 86, passed away peacefully April 2, 2019. Born April 16, 1932 in Anderson, Missouri to Daniel C. and Thelma I. Garde, shortly afterwards moving back to Joplin, Missouri where Frances lived most of her life. She attended Alcott, South Junior, and Joplin Senior High School, graduating in 1950. Five days after graduation, she married a handsome neighborhood boy, Roy G. Tomlinson, who wooed her heart with letters while serving in the Pacific after WWII. She was a stunning beauty with a porcelain complexion and auburn hair. Together they had four children living for 10 years on a farm in Spurgeon, then back into Joplin. Frances was a generous, kind, and loving mother first and foremost. After a divorce in 1973, she raised her kids as a single mother who never wanted for anything. She was a member of Mount Hope Church of Christ. Her unwavering devotion to family and church made her a true matriarch. Frances worked in retail, Arlan’s, May’s Drug Store, and sixteen years with WalMart, a dedicated and hard worker who enjoyed being around people and the camaraderie of her fellow coworkers. Frances is survived by her children, Christopher G. Tomlinson, Linda S. Watts, David R. Tomlinson, and Laurie A. Jamett; grandchildren, Joshua J. and Jesse D. Jamett, Anderson, Abbie, and Zachary Watts, Jeremiah G. Cooper, and Nicholas Hurst; sister, Patricia A. Lyscio. She also had a sister Peggy Frisinger who is deceased. Funeral services will be held on Saturday, April 6, 2019 at 10:00 am at the Mason-Woodard Mortuary in Joplin with burial to follow at Osborne Cemetery in Joplin. The family will receive friends from 5:00 pm until 6:00 pm on Friday, April 5th at the mortuary. Memorial flowers or donations to the charity of your choice are welcome. 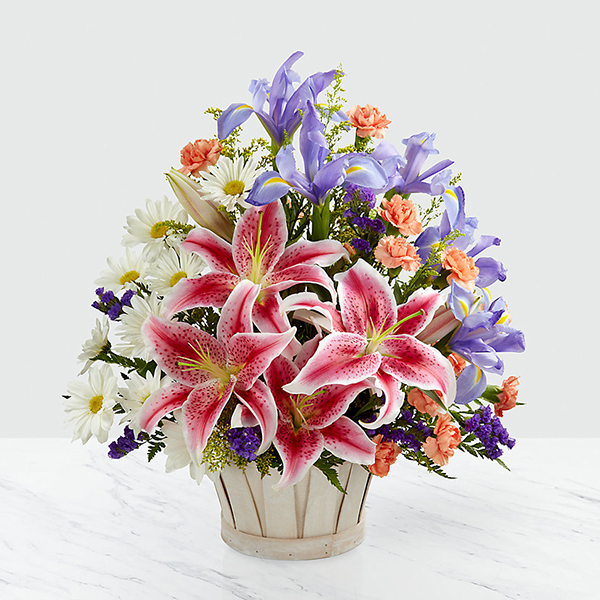 To send flowers in memory of Frances Tomlinson (Garde), please visit our Heartfelt Sympathies Store. Shannon Sasser and Paul Schenck & Nancy Lusty have sent flowers to the family of Frances Tomlinson (Garde). I am honored to have known her. My condolences on the loss of such an amazing lady. She will be greatly missed. Shannon Sasser purchased flowers for the family of Frances Tomlinson. Paul Schenck & Nancy Lusty purchased flowers for the family of Frances Tomlinson. Winston, Abe and your family at Bulldog. Heartfelt Sympathies Store purchased flowers for the family of Frances Tomlinson.